January 2019 ~ Books for What? Like I said in one of my recent posts, I would start publishing buying guides for pretty much anything book-related. Today, I’m coming at you with a post on getting the best bang for the buck when you’re in the market for the best pens for coloring books. I know that it can be challenging getting the right ones, so that’s why I’m here - I’ll give you my advice since I’ve been researching book stuff topics for years and years now. I made a list of factors that you ought to mull over to make sure that you’re purchasing just what you need. 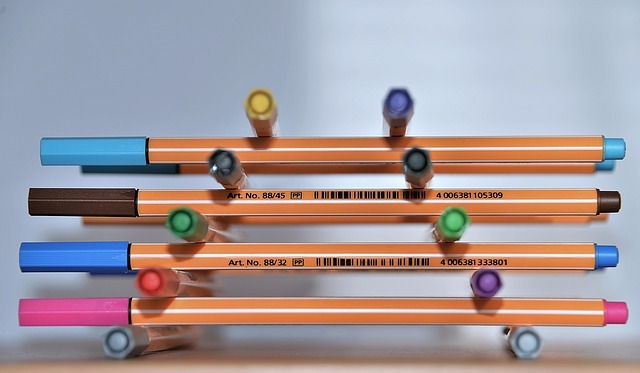 Keep in mind that the definition of ‘pens’ differs largely from one product to the other and that some people like markers, crayons, or something else, so the diversity might baffle you. There are several kinds of pens for coloring books out there. First, we have the fountain pen, which is slowly but surely becoming obsolete, and that’s because it is difficult to control, it can be expensive, but it does provide flexibility and smooth application. Unfortunately, changing or replacing the ink is anything but hassle-free, so given the array of cons to this option, it might not be the right one to take into account. Next, we have the ballpoint pen, which is typically affordable, has a good ink life, and requires little to no maintenance. 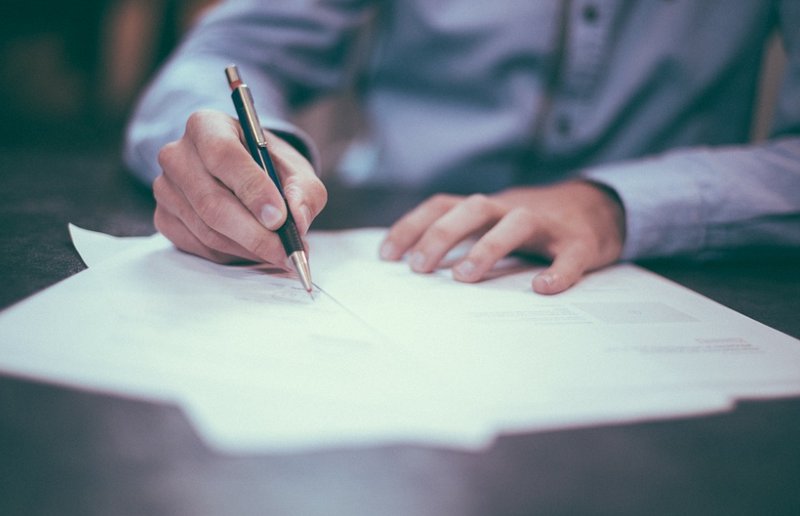 It might not give you the same amount of freedom with regard to the application, and if you don’t use it for a while, the ink can become blobby or sticky. Fiber tip pens have excellent color output and another advantage is that the ink dries a lot faster than with other pens. However, you might notice that you’ll go through the ink rather quickly. Gel ink pens are also rather popular because they offer benefits such as a powerful color output, smooth color application, and very little effort when they’re used. However, they also run out of ink rather fast and they might not provide that much flexibility. I know that a pen isn’t the same as a pencil, but people who like coloring books might appreciate the second instead of the first strictly because you can use an eraser for times when you went outside the pattern, for example. You should have a pen for each color because that’s the only way that you can make sure that they are accurate. You can’t blend them as you would if you were to paint, for example. Some types come in rather wide ranges of color selections, but with others, you’ll notice that the selection is somewhat limited. Water-based pens come in fewer colors compared to their gel-based counterparts, for example. Probably the most important aspect that you have to consider when you’re in the market for colored pens for coloring books is the fact that the color should not bleed through the paper and get on the other side. Cheaper coloring books usually come with patterns on both sides of the paper, so the last thing you might want to do would be to ruin the next pattern because of a cheap or poorly made pen. Each type of ink has pros and cons in this respect. For example, gel ink can bleed through paper but it provides deep and intense colors. Oil-based ink is prone to bubbling, but it dries somewhat quickly. Water-based ink takes a long time to dry, and the colors might not be extremely deep or precise. The ink does matter, it’s true, but the quality of your coloring book does, as well. If it’s cheaply made, the paper will be thin, and so regardless of how carefully you apply the colors, it will bleed and get to the other side, thereby ruining a pattern. If you’re having a hard time telling which product you ought to spend your cents on, perhaps you should go through some reviews of pens for coloring books. Other people, who decide to relax and spend their spare time in the same way you do can assist you when it comes to finding out whether the ink bleeds, whether you can go through the ink quickly, or any other aspect you might need to find out. Sometimes, it makes more sense to invest in a set rather than getting individual pens separately. You get a lot more colors and therefore, you have the opportunity to express your creativity in an effective manner. Hi! This is a new post from my series of guides for people who love reading. In today’s ‘episode’, I’ll show you a couple of tips on how you can find the perfect book for a 20-year-old. It can be tricky navigating through all of the books available for sale these days, and if you don’t know the person you’re planning to give a gift to, it can be even trickier. Here’s what you should consider if you want to get a good book for a 20-year-old. As much of a cliche as it might sound, this is the first thing you have to do. You definitely wouldn’t enjoy receiving a book that offends you or that you have zero intention on reading, right? The point here is that you should get a book that actually has a chance of being read, both for the sake of the book and for the sake of the person that got it as a gift. If you’re a close friend of that person or if he or she is a family member, you’re probably already aware of what they’re passionate about. Don’t just think that someone who doesn’t enjoy reading will take it up just like that - it isn’t true. However, you could start by analyzing that gift recipient’s tastes and preferences. I’m going to give you an example to make things a bit easier. Let’s say you’re trying to get a book for your brother. What does your brother enjoy to do in his spare time? Does he like DIY-ing? Does he like fishing, hunting, camping, hiking, or any other type of outdoor activity? Does he like humor? If you take the time to answer these questions, you’ll find out what type of book you can consider. For example, for DIY people, you could get them a book on home repair and improvement, homemade products, DIY solar power, car repair, wood pallet projects, or anything else. For those who like fishing, a book on several species or techniques could be a good choice, but don’t underestimate those that are collections of fishing stories, either. For people who like to laugh, nothing’s better than a book in the humor category, for example. There are a lot of challenges to overcome when you’re 20, and a practical book such as one on making smart financial decisions could be the right way of going about things. While they are in their 20s, many people make bad money mistakes - whether it’s ruining their credit, too many credit cards, too many bank accounts - whatever it is that has gone through your mind, one of them has to be it. 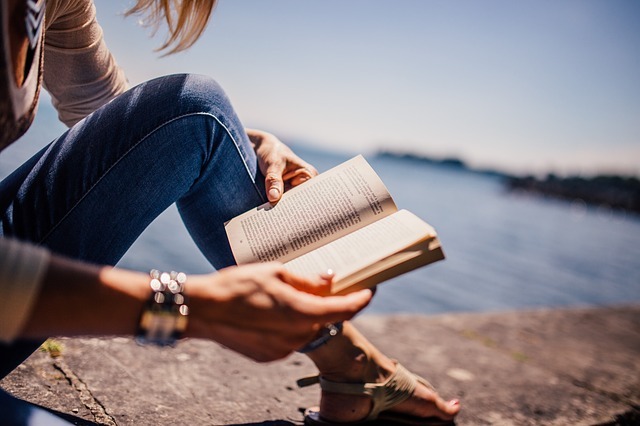 If you’re the parent of a 20-year-old, choosing a book like The Financial Diet (which is very easy to read even for someone who is bad at math or making financial decisions) can both be a good thing for your son or daughter, but it can also put your mind at ease. Another aspect that you ought to consider is the fact that not all books are the same. Just like some are paperbacks and hardbacks, there’s also the option of you choosing the electronic version (the e-book). Sure, that might not be so glamorous since you won’t be able to hand the book to the gift recipient - but still, if you know for sure that the 20-year-old you’re getting it for doesn’t have any physical copies and is maybe trying not to buy printed books just to be eco-friendly, an e-book might be a logical choice. This is pretty tricky. If you don’t know that much about the person, you’ll have to do a bit of investigating - ask his or her friends to find out what genre he likes. Keep in mind that there are people who like to read non-fiction (such as The Financial Diet book we’ve mentioned before), but there are others that only read fiction and can’t stand non-fiction, no matter how well it might be written. I used to be like that. When I was in my 20s, I loved reading mysteries and thrillers, but also memoirs and contemporary lit. I never even thought that I’d get to the point where I’d start to enjoy reading non-fiction. And guess what? It did happen, but once I was past the age of 29. I made the mistake of starting my ‘non-fiction journey’ with one of Seth Godin’s books, and since I wasn’t even in the same industry at that time and it seemed like his book was an endless repetition of whatever he said in the first chapter, I gave up the whole genre. Much later on, when I came across Mindset: Changing The Way You think to Fulfil Your Potential by Carol Dweck, I understood that not all non-fiction books are the same. Some can actually help you. So, what does this 20-year-old usually read? So, there you have it. Here are my two cents on how you can pick a great book for a 20-year-old. If you liked this post, consider sharing it with your friends. I don't usually review products for children, both because they are not in the niche of this particular website and because I personally have used few of them over time. However, I did want to showcase this one because it seems pretty remarkable to me, despite being released rather recently. 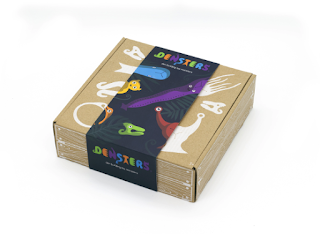 The Densters Large Set is a short collection of toy monsters designed for children, as well as adults, and it comes with as many as eight versatile and whimsical characters. 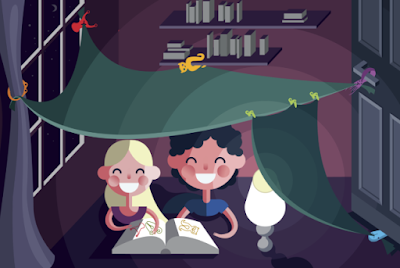 With their assistance, you can build the inside of a hide-away or that of a fort. One of the coolest thing that I have found about these toys is that they can be used for a variety of purposes. You really do not have to be a kid to be able to enjoy them. In fact, I couldn't help noticing that they can be used both conveniently and effectively as anything ranging from blanket pegs to bookmarks, door stoppers, and even a bag hook. One of them can even be utilized as a phone stand, which naturally comes in handy if you are looking to communicate with a person that you haven't seen in a while. Apps like Facetime and Skype can be used with ease if your smartphone is supported by one of these toys. Attaching the Densters to your furniture is extremely simple because they are designed in such a way so as to minimize the effort on the part of the user. The fact that every little toy has its own name is a cute detail. For example, you can use the Grumpo as a door stopper, but the Cheekabo can be clamped onto chairs or shelves so as to hold your bag or anything else. The Snella is a perfect little surface sucker whereas the Hoopsta can be hooked around knobs, as well as curtains. Since I'm always concerned with the safety of an item whenever I try to analyze its quality, it's worth noting here that these toys are made from BPA-free materials, so they pose no risk to kids in this respect. Furthermore, their design does not include any risky parts that could be swallowed or on which children could cut themselves - there are no small parts or sharp edges. However, the manufacturing brand does recommend their use with kids older than 3, so you might want to consider that. Many studies have found that building forts and dens can be quite educational and the best thing about this type of activity is that it helps with the development of children's creative thinking. Naturally, your child will want to experiment with all sorts of materials to build as many structures as possible, so it might be a good idea to have several blankets ready after purchasing this set. Although I personally haven't been able to find any info regarding the exact materials that these toys are made of, they have been deemed as durable and highly flexible, which is why they can be stretched and can put up with some serious abuse over time. So there you have it. If you're in the market for a toy set that can stimulate your child's creativity and ingeniousness, the Densters Large Set might be a good choice.